Many years prior to the attack on the US Navy that marks the beginning of World War II for the United States, the Empire of Japan had invaded China. This war of occupation was a massive effort on the part of Japan’s military, involving more than 2 million troops at its height. When the war spread into the Pacific in 1941, the siphoning off of seasoned troops to fight on the new front presented a significant logistical problem of the Imperial Army – how could it maintain the necessary troop strength in China while also fighting the Americans? The answer was to increase the use of native Chinese troops under a series of puppet governments – between 500,000 and 900,000 men. Many of these men were undoubtedly poorly trained and poorly equipped, but the could at least perform duties like guarding railroads, thus freeing up the more skilled and experienced Japanese troops for places they could be more effectively used. Poorly equipped or not, these Chinese soldiers would need some sort of guns. Arms captured from the enemy Nationalists and the KMT were one way Japan could cheaply arm them, but more was required. At some point (we are not sure exactly when), five Chinese manufacturing concerns began to manufacture rifles for the Japanese to issue to Chinese troops. These rifles were basically copies of the Type 30 Arisaka carbine (aka “hook safety”) but chambered for the 8mm Mauser cartridge. The 8mm was a common cartridge in China at the time, and its use would have made good logistical sense for the Japanese to provide (the Japanese controlled arsenal at Tientsin manufactured both 6.5mm Japanese and 8mm Mauser ammunition for many years during the war). This first set of rifles is known to the collecting community as the North China Type 30 (you can see a good set of photos of one here), although it is not known what the rifle’s official Japanese designation was – there are very few records available regarding these guns, and much of the history is supposition based on the characteristics of documented rifles. The North China Type 30 was a reasonably high quality rifle – the workmanship was not as good as the Japanese homeland arsenals, but it was not a “last ditch” rifle, so to speak. It had a flip-up ladder sight like the true Type 30, and the receiver was marked with the emblem of a cherry blossom (not the Imperial chrysanthemum). In total, an estimated 38,500 of these North China Type 30 carbines were made (all carbines; no full length rifles). By 1944, it appears that the need to supply Japanese troops in northern China had become more urgent than supplying the Chinese puppet troops, and these Chinese concerns that had been making the North China Type 30 changed their tooling up to make the North China Type 19 instead. 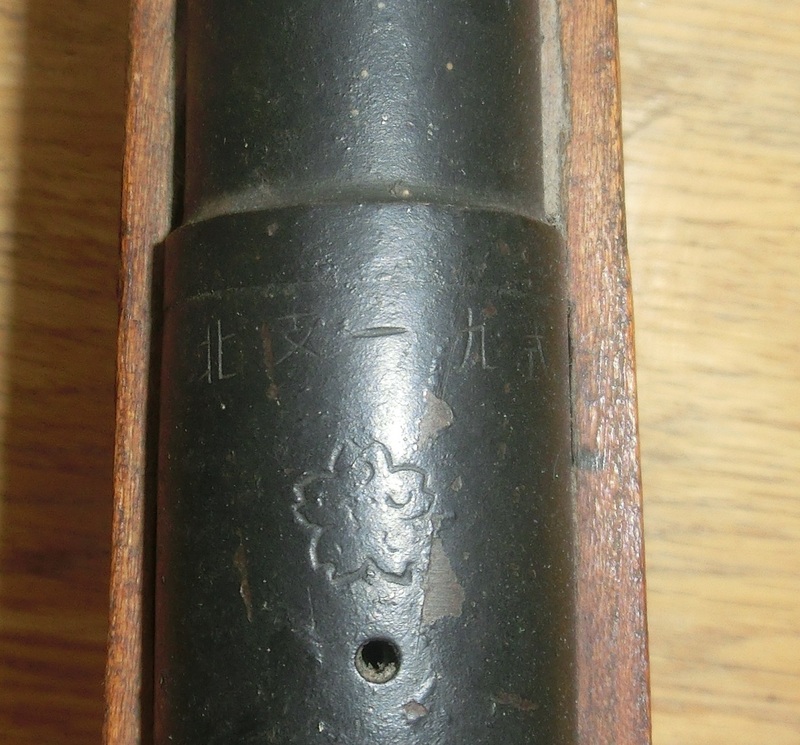 This was a more modern Type 38 copy, chambered for the 6.5mm Japanese cartridge. While 8mm was easily available in China, official Japanese Army supplies did not use it – the 6.5mm had always been the predominant cartridge used in Chinese fighting (the 7.7mm saw much more use in the Pacific than in China). Despite being copied from the Type 38 carbine, the North China Type 19 retained a distinctive “pot belly” stock design. They also had the same cherry blossom crest on the receiver, although it was now paired with a series of 5 kanji that translate to “North China Type 19” (hoku – ushi – shiki – ichi – ku). While the Type 30 copies appear to have been fairly uniform in construction, the Type 19 shows significant degradation as the war neared its end. The best quality North China Type 19 rifles have flip-up ladder sights, typical sling swivels, a blued finish, and knurled safety knobs. Others, however, show all the same cost-reducing modifications that are seen on late Type 99 Arisakas. We have a set of photographs of a very late example below, which has a flat safety, crude fixed rear notch sight, wooden buttplate, no sling swivels, and overall very crude workmanship. The finish on this rifle is in fact just a coat of black paint – it is in remarkably good condition, but you can see where bits have flaked off in some of the photos. Little else is known about the North China Type 19, including exactly who made them and where (the best guess right now is Beijing), how many were made, who they were issued to, and so on. Considering the chaos in China from fighting the Japanese and then a civil war, it is unlikely that we will ever find definitive records on these rifles. They are quite rare in the US, and typically command substantial prices if sellers know what they are. Allan, White, and Zelinski. The Early Arisakas . AK Enterprises, Palm Coast FL, 2006. Frank Allan also has written a massive book on the Type 38 which I have not yet acquired, but which does include a section on the North China Type 19. It can be ordered direct from the author at Castle-Thunder.com. Overall, it’s very much a Japanese analog of the German VK98 “last-ditch” version of the Kar98K. Except that it has the correct magazine setup; most VK98’s were single shot, those that were repeaters generally were fitted with the magazine of the G43/K43 automatic rifle. Being produced in China, was it another example of the Kwantung Army’s “local” armaments industry? Slightly off topic eon, but you know about guns so I figured I would ask… Have you ever seen that video of a petite chick firing a .500S&W Revolver on youtube which fires twice by accident “possibly dangerous, I was just looking for videos on the revolver” well I saw it awhile ago, but I watching that Hicok .45 chap firing one today. Anyway, I noticed the cylinder seems to go the other way round unless I am mistaken but don’t revolvers usually turn clockwise his seemed to turn anti clockwise. Which brings me back to that chick, she kind of “cracked a whip” with her wrist via recoil, I thought that had something to do with it at the time until I thought they turn the other way until seeing that video. Read an article on the video on the firearm blog, googled it and it mentioned bump fire “Trigger pull like” just wondering if the cylinder turned clockwise would that be less likely? “Did she cycle it, with the wrist movement via recoil” do revolvers usually turn clockwise had a Taurus air cartridge one once forgot which way it went… Pretty sure it was clockwise. Shows the youtube and a S&W video on the link. My .500 (and all other S&W revolvers that I know of) have cylinders that rotate counter-clockwise. Colt revolvers OTOH, turn clockwise. I’ve seen “bump firing” aka “unintentional doubling” with self-loaders, side-by-side or O/U shotguns, and even double rifles (notably .577 and .600 NEs), but this is the first time I’ve seen it with a DA revolver. The first shot was single-action, and I suspect the shooter (comely young miss, that one)jerked the trigger the second time, due to either surprise/flinch reaction or muscle spasm due to recoil shock. The second shot had to be a double-action pull-off, unless there was something badly wrong with that revolver mechanically, which S&W avers is not the case. Cylinder rotation direction is largely irrelevant to this. I’ve heard it claimed that S&Ws need the front lockup on the ejector rod because their anti-clockwise rotation tends to “push” the cylinder out of the frame, while Colt’s clockwise rotation tends to push it inward more firmly. After a lifetime of shooting both types, I see no appreciable difference, assuming the revolver is in good condition, properly timed, etc. If you’re worried, get a solid-frame revolver like a Ruger single-action; that cylinder “ain’t goin’ nowhere, no how”. Speaking of single-actions, the nearest thing to this I’m aware of is a case of a Colt SAA .45 that went “full-auto”. The shooter loaded one, skipped one, loaded four, lowered the hammer onto the empty chamber, and once at the firing point, thumb-cocked it as per procedure, starting from the ready for a five shot string. All five left in about three-fifths of a second, scaring said shooter out of his Fruit of the Looms. Gunsmith inspection confirmed the cause of the problem. The firing pin bushing had been loose, and fallen out on the first shot. The unsupported primer blew, and the gas from it kicked the hammer back much like the short-stroke piston of an M1 Carbine gas system. Since the trigger was “back”, the hammer fell, and the cycle repeated. The effect was much like “fanning” the revolver, except it did not require the off hand to whack the hammer repeatedly. The bushing was replace and properly secured, and after that the Colt behaved as it should. Although I suspect the owner may have been cured of any temptation to try “fanning” his sidearm after that. Gripping and tensing up is a human reflex response to surprise. It likely goes back to our ancestors time in the trees. Some other animals actually go floppy instead. It’s quite lilely that gripping tighter was part of her flinch respnse. Back when I was into ropes, harnesses, rubber clothing… one of the then new abseiling devices was the Petzl “stop” which had a self locking mechanism, which you squeezed a handle to release. The idea was to control your descent using a hand gripping the rope below the descender – just like any other descender, with the handle pulled to fully release what was effectively a dead man’s brake. Of course some idiots tried to control their descent with the handle alone. More than a few of them, finding themselves going a bit too fast, panicked and tensed up, taking the brake off and going into uncontrolled descent. they inevitably hit the bottom (or were saved by a friend with the presence of mind to pull the rope tight) rather than managing to relax their grip. The thing got something of an undeserved reputation as dangerous (no idiot will ever blame himself for an accident), and Petzl brought out a version which braked again if the handle was squeezed tighter. I found that a rack was a much nicer descender – just keep the beard well clear! There used to be a simillar thing with people cleaning conveyor belts with the belt running. If their brush of shovel got caught, the man almost always got dragged in (the lucky ones died quickly), again, the instinctive response was to grip tighter. I’m pleased that the video you linked to wasn’t the one with a young lady getting whacked on the head with a heavy recoiling revolver; she was far too nice for him , even before that. You own one of those cannons Doc, hey congratulations 🙂 Ok so revolver cylinders can revolve either way, got it… But in this case, it revolving anticlockwise probably isn’t relevant “nice looking chick eon :)” aye Keith, get what your saying about gripping etc and about those sort of videos. Yes. It is a 6″ barreled lightweight version with the half-length underlug. It is a fun beast to shoot, but then again I am a pretty big guy. I bought it for shooting feral hogs on my property and as a carry piece for bears when I go fly fishing up north. I also have a scoped Performance Center .460 with a 14″ Lothar Walther Barrel and a Harris Bipod that I use for still hunting. The X-frame Smiths are awesome revolvers. Crikey! I just took a peek at your .460 model, that’s a pretty piece of personal artillery he he. Well I had no idea, good place to start. That Type 19 is in really good condition, considering that most Chinese surplus arms from that era look like dug up relics. Definitely something to look out for, as I am sure they are often mistaken for regular Arisakas. Interesting part of history, I never knew some Chinese fought with Japan “saw another article on this website prior about it, but other than that” I knew they had a civil war, hence Taiwan. Don’t really no much else about it, chairman Mao aside. Those leather jackets with back patches, American I think… Think they were something to do with that period, have to find out more about the period. I read once the Japanese version, was they were after a pan “oriental” Asian, bunch of buddies rather than an empire of subservient serfs sort of thing. And it was us, in their opinion who were the imperialists etc. Propaganda all that, I mean “we” were imperialists, but I don’t believe they just wanted to be friends with their fellow “asians” given you hear about them being quite rude to the locals in Korea etc, beheading them and whatnot. History says that China had been abused by any and all who was at hand at different times. As you stated correctly “we the imperialists” (West) and later “they the imperialist” (Japs) acted all with unspeakable cruelty. China has finally taken firm stance in 1947 and fixed misgivings of the past for good. It is likely that it will not repeat itself again. Some of those who like to see it happen yet again call China “communist” and therefore faulty in some way; that is easy burden to take and to live with. The Japanese were as bad as the Nazis in the way they treated Asian countries that they conquered. They massacred them, enslaved them, conducted medical experiments on them, tested chemical weapons on them, etc. Unlike with the Germans however, many of the crimes committed by the Japanese were swept under the carpet because of cold war politics. The result of this difference in policy is that the Germans are (largely) accepted and forgiven by their neighbours, while the Japanese are still distrusted and hated by many of theirs. None of that of course is a reflection on the people who normally collect weapons from either the Japanese or the Germans. Bad events make great history. However, the continuing legacy can make it difficult to research some aspects of that history in countries where they have neither forgotten nor forgiven that past. Somehow, by dealing of destiny, the Germans do not have such a bad reputation with Chinese. For one thing, as colonizers, they were regarded as rather tolerant and even acceptable namely in territory of Tsingtao. Later, as you may know Germany equipped and trained Chinese Imperial army, which gave during initial battles at around Shanghai the marauding Japanese, run for their money. They were truly outstanding units. Wasn’t Japanese rifle production concentrated at Mukden Arsenal (now Shenyang)? Mukden was set up to replace Kwangtung Army equipment losses at Khalkin Gol where Marshall Zhukov shattered them in 1939. The Kwangtung Army never fully recovered from Lake Khasan and Khalkin Gol (Nomonhan) battles, which explains their use of Chinese auxiliaries. The Kwangtung Army was essentially independent of the Imperial Japanese Army, although it was commanded by regular Japanese Army officers detached from the IJA. The Kwangtung Army was actually a mercenary organization established and operated by the South Manchurian Railway Company, a Japanese entity which was exploiting Chinese timber, coal, and tungsten deposits. They had to purchase their own ordnance and armaments, independent from the normal IJA supply system, using the proceeds from raw material sales. Ah, yes, the “Greater East Asia Co-Prosperity Sphere” thing. To paraphrase Orwell, “All Asians are equal, but some (the Japanese) are more equal than others.” No matter what nationality or ethnicity, there will always be those who side with their oppressors out of fear or for profit (or both). We all would like to think we would never do such things, but one can never predict how they will act when their back is against the wall and a bayonet is at their throat. This is as we, at distant side of the world perceive it. Interestingly enough, while Japanese are considered by many Chinese as “Germans of East”, on basic human level they can relate reasonably well. I have heard from my one time Taichi teacher the tales he told me about time he spent while studying in Japan and later dealing with them. They were actually not bad partners at all. Interesting point. I think when we look at the “big picture,” we tend to generalize these aspects of history and culture, but when we examine these relationships on an individual level, the story becomes much more complex. For example, there was a POW camp about 10 miles from my house. Many of the German prisoners were hired out as farm laborers and established a good reputation for their work ethic and even established a degree of camaraderie with the locals. Most were fondly remembered, and I actually knew a Wehrmacht veteran (now deceased) who stayed down here, married a local girl, and eventually became a citizen. He was a nice old man with some great war stories. He is buried about 15 miles from where he was held prisoner during the war. Precisely so: when dust settles down, we are all what is left in us – plain individual humans with not so different values. German POWs taken to Canada were given option: return home or apply for CDN citizenship and start new life. Large majority opted for latter (probably for practical reasons more than anything else) and became valued part of country’s post-war growth. This is strength of country and its system; I believe it initiates in some British theories from Victorian era. Both of my parents spent childhood years with POWs living in the house and working on the farms. Because of which camps were nearest, my paternal grandparents got Germans and my maternal, Italians. I’m not sure how it worked for people who wanted to stay on, rather than be repatriated after the war. My mother’s parents had Italians who managed to stay on, working for them into the 1960s or later, and the farm became something of a focal point for the local Italian community. After the camps were emptied of POWs they were flled with “displaced persons”, Displaced by new lines being drawn on maps. One year in the 1950s my paternal grandparents played host to (I think) Lithuanians, whom they really liked. Heavens knows what centrally planned fate befell them, after the war to “liberate Europe” from a dictator. Stalin’s gulags? According to my late friend, he had no home or family left in Germany, and wasn’t a party member or in the SS, so he was allowed to remain. I am not sure what his status was, as he never mentioned it. He had a successful auto repair business and would work on my 911 for the cost of parts and a couple of beers. He’s been gone a while and this thread has gotten me to thinking about him again. A local historian (who is a colleague of mine at the University) did a series of interviews with former internees, and almost to a man they commented on how well treated they were and how they felt a great kinship with their local hosts, a far cry from the responses I’ve heard from American POWs held by the Germans. My grandfather’s farm had two Soviet POWs as farm laborers from 1942 until 1944. They didn’t speak any other language than Russian, which my grandfather and grandmother knew only a few words, so communication was initially limited until they learned Finnish. From what I have heard they had fairly good relationship to their Finnish “hosts” and vice versa. After the POW camp the conditions were much better*; there was no lack of food and they were allowed to move around the farm on their free time. They were not very happy when the peace terms dictated that all Soviet citizens, both POWs and “new” citizens who had served in the Finnish Army or otherwise fled to Finland (mostly Estonians) were to be returned to Soviet Union. Uncle Joe had a nice ice cold place waiting for former POWs in the GULAG and they knew that, since Stalin’s infamous order expressly forbid any Red Army soldier from becoming a POW for ANY reason; it didn’t matter if you surrendered voluntarily or were knocked out or wounded in combat and ended up as a POW. Whether they survived the GULAG or not, I do not know. The 5 year sentence most ordinary ex-POWs received was survivable, but of course a lot of prisoners still perished especially in 1945 and 1946 when food in general was still in short supply in the USSR. * The conditions in Finnish camps were much better than in German camps for Soviet POWs, but they were still not that great and especially the food rations were quite small. Some of those parts look like they were hand made without tooling or proper equipment. I suspect that many of the components were made by subcontractors who did not have the equipment or personnel to otherwise undertake war production. It would be interesting to compare several of these rifles to see the amount of individual fitting of parts versus how many parts were interchangeable. What a great post. Things like this — weapons I know absolutely nothing about, presented thoughtfully and with precision — are why this blog is irreplaceable. Eon — I had a post some time ago on a Speer memo about the German last ditch Volkssturm weapons. At least initially, Hitler rejected both the single-shots and the VK1-5 semiauto. The former he considered ineffective, and the latter was just as resource-intensive and costly to make as the MP/StG 43/44, with its only advantage being lower cost of tooling (a limited factor once you’re in series production). Part 1: The Genesis of the Volkssturm Carbines. Why? Japan had a much tougher resource and manufacturing situation than Germany did, due to Japan’s need for exogenous materials for every step of manufacturing. It’s an amazing tribute to Japanese ingenuity that they did as well as they did, even with large parts of China under their subjugation. As a rule of thumb, when your logistical situation is so bad that your small arms need to be decontented to this extent, your war is lost. I can’t think of an example of a power that’s come back from a deficit like this, can you guys? Some simplifications are one thing, but making your weapon much less effective in order to produce it (the sight on that Type 19 carbine, for instance) is an unlikely pathway to victory. I have to agree with you, Kevin. The various Volksgewehrs and Karabiners, SMGs like the MP 3008, and the “last ditch” rifles of Japan are relics of the extreme desperation faced by the Axis at the end of the war. Even with no prospect of victory, those weapons seem to indicate a mix of fanaticism, stubborn determination, and denial on the extreme end (also evidenced in “suicide weapons” like the Fieseler FI 103 Reichenberg manned V-1 and the various Japanese Kamikazes), and a more realistic desire to force a “conditional peace” through a prolonged and bloody process of defeat that would make the Allies re-think their desire for unconditional surrender. Operation Olympic (the U.S. invasion of mainland Japan) would have likely resulted in millions of casualties and could have possibly resulted in a war-weary U.S. giving the Japanese a little bargaining room at the surrender table. Thus, their purpose may be twofold: to appease the fanatics and to buy a little time by further bleeding a tired enemy in the hopes of saving something of their nation. The real problem is logistics and resources. At that level of desperation, it is only a matter of time until food, fuel, ammo, and manpower run out. Then, all the small arms in the world are useless hunks of wood and scrap iron. Thank you for the links. I learned a few things I didn’t know, especially from the Speer memos. I was surprised that Kammler wasn’t on the distribution list, as Thuringia, his “turf”,and an important part of Fi-103 (V-1) and A-4 (V-2) production, was one of the “threatened Gau” at that point. Another example of a “downgraded” rifle was the Italian Mannlicher-Carcano M91/38 1943/Italian Social Republic “post-partition” variant. No cleaning rod, fixed 100-meter back sight, and generally poor finish. It’s interesting to see how quickly quality deteriorated. Although an uncle of mine (COL, Army Corps of Engineers)wished they’d “deteriorated” more and quicker. He’d been getting shot at by them (in addition to 7.9 Mausers) since Torch, and was getting a bit tired of it by the time he got to Rome. Trivia note; Allied forces entered Rome on the morning of 6 June 1944. The events in Normandy caused the liberation of the Eternal City to go largely unnoticed by the public in the U.S. Your uncle had a point. A “downgraded” rifle will kill you just as dead as an “upgraded” one. The Italian campaign tends to take a backseat to the Normandy campaign in popular history, but it was a tough and bitter fight against a well entrenched enemy. 3-4 years of continuous fighting will take its toll on anyone. A great uncle of mine was a tanker who survived from Tunisia to the Rhine. He drank a lot and smoked constantly when I was growing up. The war stayed with him every day for the last 50 years of his life. The Italians had played with fixed sights before; the Carcano M38 in 7.35mm had sights fixed for 200 meters (!). 100,000 of those rifles were bought by Finland and the fixed sights were by far the most hated feature of the rifle, especially since 200 meters was clearly too far away for many actual combat situations. For prone or kneeling targets at around 100 meters one had to aim deliberately low in order to hit them. Still, 200m is better than the 300m minimum elevation on many other standard-issue rifles at the time. Yes, and there even was one such rifle in Finnish service from 1940 to 1941, namely the Swedish Mauser M1896 chambered for 6.5x55mm. However, the 7.35×51 Carcano had rather poor external ballistics compared to most contemporary military rifle cartridges, which exacerbated the problem. It fired a fairly light bullet at a modest muzzle velocity, and it appears that the bullet shape was not particularly good, either, despite ostensibly being a modern spitzer type design. The designers of the cartridge seem to have focused mostly on terminal ballistic effects. The situation was also not helped by the fact that the Carcano M38 had an essentially carbine-length 530mm barrel. The M91 Mosin-Nagants in Finnish service also had minimum elevation of 200 meters (or even the original 300 meters / 400 arshin in some cases), but with much more powerful cartridge fired from a full length rifle that was not a problem. According to my uncle, the 6.5mm Carcano was the one the doctors hated with a passion. 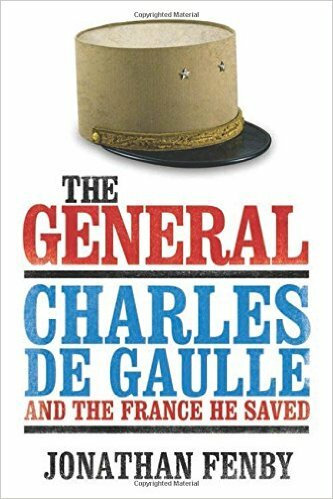 Its long, relatively narrow bullet tended to yaw and tumble violently inside the body cavity, leaving an avulsed wound channel that they compared to a bayonet thrust with a twist-and-withdraw. All bullets tumble, or at least turn over once and restabilize going big-end foremost like an SSN in the sea, inside the body. But the 6.5 bullets, whether Italian, Swedish, or Japanese, never restabilized. Due to their length-to-beam ratio, they just kept turning over and over. My uncle was a a rifle expert himself. Among other things he had three B&C records on American game in his book, and postwar hunted all of the African Big Five “on his own time”. So he knew rifles, shotguns, and pretty much anything that went “bang”. He never believed that one Lee H. Oswald had, or needed, any “help” in killing JFK and nearly killing John Connally. The so-called “Magic Bullet”, in his professional opinion, behaved exactly the way he had seen 6.5 Carcano slugs act in North Africa and Italy. The one that literally “blew JFK’s head off” was acting as he’d seen head hits behave there, as well. He said that if Oswald had ponied up the extra money to Klein’s Sporting Goods for an M1 Garand in .30-06 ($89 vs $35 for the Carcano), he might have gotten off more rounds, but he probably couldn’t have done much more damage. When a man who knew rifles like he did, and knew the 6.5 like he did, agrees with the Warren Commission…well, let’s just say I’ve never been a big fan of “conspiracy theories” on that particular homicide. Look at the sight ladder on an AK or SKS. The “D” mark is the battlesight setting. 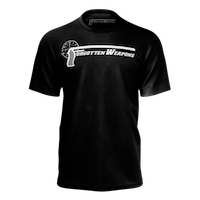 Put the slider there, and at any range from right off the muzzle to 300 meters, if you aim center-chest on a man, the slug will hit somewhere on a vertical line between his shirt collar and his belt buckle. Exact elevation doesn’t really matter; wherever it hits in the torso, it’s going to cripple or kill him. A military rifle with a 300-meter fixed rear sight isn’t much good for precision shooting, but if you just want to “hit a man”, as Bull (Arthur Hunnicutt) said of a horse bow in El Dorado (1967), it’s all you’re likely to need. this what you say is extremely interesting new knowledge. As mentioned before, I had both grand-fathers in Italian campaign and I can appreciate what expectations they had while facing possibility of being hit with that slender 6.5mm bullet. The routine practise the men were conducting before “sturm” was to urinate. Being hit into body elsewhere in uncomfortable enough, being hit into un-emptied bladder was excruciatingly painful. I agree fully that for typical upper body or chest target of about 20″ / 50cm in height a battle sight setting of 300 meters is adequate even with 7.62x39mm ballistics (and of course with anything better). However, it must be noted that soldier on a prone position or shooting from behind a cover presents a substantially smaller target, so “overshooting” is still a very real possibility for targets which are between 100 and 200 meters. Of course with better ballistics the problem is smaller. When it comes to the 7.35mm M38 Carcano the sight problem was consider serious enough that an adjustable rear sight similar to the Finnish M39 Mosin-Nagant was developed, but since the Carcano rifles were mostly used by non-infantry troops (artillery, logistics etc. ), the modification did not have a high priority and only a very small number was finished before the armistice of September 1944. It is not known if any Carcanos with Finnish rear sights remain to this day. A field modification with higher front blade to reduce the zero range to 100-150 meters was more common (albeit far from universal) and some of those probably survive to this day. Eon: your uncle’s experiences seem to run somewhat contrary to the sources which mention that the main for the development of 7.35x51mm cartridge were Italian experiences in WW1, Libya and Abyssinia (Ethiopia), where the terminal ballistics of the 6.5x52mm left something to be desired. Reportedly it over-penetrated often and hits to vital organs were required for immediate disablement of tribesmen. I don’t claim to know what’s the real truth of this matter, since some sources also claim that the 7.35mm was also supposed to have enhanced long range performance for light machine guns*. It appears that the better long range performance was not really achieved, since the 7.35mm spitzer bullet was much lighter than the old round nose 6.5mm M90 bullet (125 gr vs. 162 gr) and it did not have a boat tail. Unfortunately ballistic tables or even the ballistic coefficient for the original Italian 7.35mm bullet seem to be hard to find. I think that the complaints about the performance of the 6.5 in imperial wars, was common to all of the small calibre round nose bullets. The British had the same complaint of lack of effect on hill tribesmen in the north west fronteer of what is now Pakistan, when .303 with 215 grain round nose bullets replaced big lead bulleted .577/.450 martini Henrys, .577 Sniders and .577 muzzle loaders. To an extent, I think that Americans found the same thing with both rifle and pistol loads while “restoring order” after the Spanish empire was removed from the Philipines. there’s a large zone in between the explosive wounding a close range and the long range where bullets are descending in a nose up attitude when they hit, and again cause dramatic wounding. In that large zone, the round nosed bullets tended to give clean small holes. Apart from the Christians of the Abbysinian highlands, there is a second common factor to accompany small calibre round nose bullets. The tough little guys who wouldn’t lie down and die quietly were all of the same faith. In game shooting, the long thin, approx 160 grain round nose 6.5mm bullets have a reputation of bending when they hit a heavy bone, and deviating from a straight line. They were used by some proffesional hunters for head shots on elephant under good conditions, however when the conditions were more enclosed and difficult, the double barrel nitro expresses were used. How a bullet can hit a man in the head, and have the tip and base be recovered, but the centre portion apparently explode into a shower of small metal fragments? The bullets which hit JFK seem to have done both these things. That 6.5mm Carcano sure is a weird bullet all right. It does not address the fragmentation pattern of the bullet, but the human head has a strong boundary between the relatively firm and solid skull and the brain, which is mostly water. Supersonic soft core FMJ bullets that hit water tend to do interesting things as well. To clarify, President Kennedy was hit in the back below the top of his shoulder blade, at the level of the third thoracic vertebra, according to his death certificate, thus several inches below the neckline, whereas his throat wound was above the knot of his tie. Notoriously, no dissection took place to determine if these wounds were connected, but one of the autopsy doctors, Dr Humes. stuck his little finger in the back wound, and determined it was on a downward trajectory of 45 to 60 degrees, and did not continue further than the length of his finger. I regret that if you are relying on McAdams for your information on this case, you will only see pro Warren Commission propaganda. He is not an honest student of the assassination, but a propagandist, a good one, I grant you. McAdams’ info is sourced from elsewhere like Dr. Latimer. He offers very little personal opinion not based on outside sources on his pages, and his sources are not limited to Warren Commission or the other official inquiries, although by proper historical method there is no reason to dismiss the Commission’s findings as totally or even mostly unreliable (let alone “false”, which is a much bigger word). He maintains his pages on a server of a well-respected accredited university, but he’s not in a leading position in that university, so his superiors probably do not view him as a “progandist”, either. But still, whatever one thinks about him shouldn’t matter if one can’t dispute or at least question his sources. I will not go any further into the JFK assassination debate here, since even the ballistics science aspects of it are only tangentially related to the purpose of this site. Typo correction: the M96 Swedish Mauser was in service until 1945 of course (warehoused until 1953). I am afraid that McAdams is indeed a convinced apologist of the Warren Commission, as you will find if you read up on him, and I am equally afraid that Dr Lattimer’s theories about the “jet effect” of exploding brain matter should not be taken at face value, but again, researched. My problem with anecdotes such as those of Eon’s uncle is that they do not address what we know happned to President Kennedy. Thus, we know that two bullet fragments from the head shot bullet were found in the car, the nose and the base, and we know that the skull X-ray shows a pattern of small metal fragments. I just wondered if Eon or his uncle had come across a bullet which only exploded in its centre section, because if so, that deserves to be added to our knowledge of the 6.5mm Carcano.